Do I Qualify for Housing? 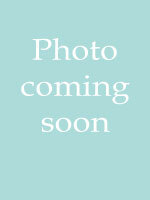 Falmouth Housing Trust, Inc. is a 501(c)3 nonprofit organization. Mark is co-founder of Stone Path Malt, LLC, a manufacturer and importer of specialty malts for the craft brewing industry. He is the Managing Partner of Sippewissett Capital, LLC, a structured finance company focused on providing capital and investment banking services to real estate developers, operators and business owners. 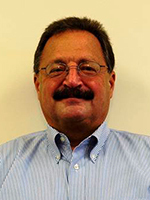 Prior to founding Stone Path Malt, LLC and Sippewissett Capital, LLC Mark worked in the real estate industry for 28 years across a broad spectrum of disciplines that included private equity, investment banking, asset management, acquisitions, dispositions, lending and brokerage. Mark is a licensed real estate broker in the Commonwealth of Massachusetts and held NASD Series 7 and Series 63 Licenses. Mark holds a Bachelor of Arts Degree from Rollins College, a Master of Arts Degree from Lesley University, and a Master of Business Administration Degree from the Carroll School of Management at Boston College. Dave Garrison and his wife, Lori, moved to Falmouth in 2014 after full and interesting careers in Washington DC. Dave was raised in the Boston suburbs. He has been coming to the Cape every summer since 1944. Throughout his Washington career, Dave focused on housing and community development issues and, more broadly, on urban policy. He held senior positions at the Departments of Housing and Urban Development and Health and Human Services. He also worked for the House Budget Committee, the National League of Cities and the U.S. Conference of Mayors, and the National Academy of Public Administration where he is an elected Fellow and on whose board he served for six years. During a twelve-year stay in Cleveland, Ohio, he directed an urban policy research and outreach center at Cleveland State University. 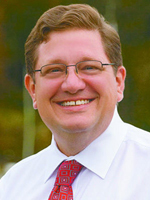 While living in Cleveland Heights, Dave served on its Planning Commission for eight years including two years as Chair. He was on the board of a non-profit housing assistance corporation for eleven years. He completed his career at the Brookings Institution in Washington. Dave has a law degree from George Washington University. He served for eight years (four terms) as an elected Advisory Neighborhood Commissioner, in Washington, DC, representing the section of the Capitol Hill neighborhood where he and Lori lived. They have two grown children. Dave is a volunteer with the Falmouth Service Center, a curler at the Cape Cod Curling Club, and a member of the Upper Cape Camera Club. He is in his seventh year as a member of Board of the Museum of African American History in Boston. He joined the Falmouth Housing Trust Board in July 2017. Carey Murphy lives in Waquoit with his wife of 31 years, Martha. Their three adult sons are all employed in the ski business, a sport that Carey loves to spend his winter months enjoying. They recently sold their retail business, Kensington’s at Mashpee Commons, after owning and operating it for 29 years. 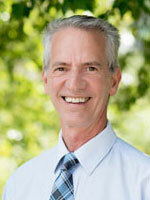 Kevin McCarthy joined the board of directors of the Falmouth Housing Trust in 2012. Kevin’s entire career has been spent pursuing various “oceans” related endeavors, first as a professional diver, followed by various senior level management positions at a number of oceanographic manufacturing companies, including Klein Associates and Teledyne Benthos. He holds a B.S. from Northeastern University and an M.B.A. from Suffolk University. In 2000, he joined Hydroid LLC, a startup subsea robotics company that was founded to commercialize the REMUS autonomous underwater vehicle technologies developed at the Woods Hole Oceanographic Institution. In 2008, the company was acquired by the Norwegian company, Kongsberg Maritime, for $80 million. Kevin retired from his position of Vice President of Marketing in 2010 to devote more time to his passion for wildlife photography. Some of his work can be viewed at: www.McCarthyNatureImages.com. Susan Lawrence spent every summer in Falmouth Heights as a child, so when she became a year round resident in 1980; Falmouth already felt like home. She and her husband David raised two children and established the Lawrence-Carlin Insurance Agency. Susan lives locally and her two children are now adults, making their lives off-Cape. 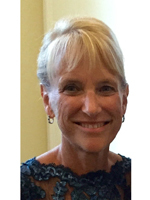 She is a realtor with Kinlin Grover Falmouth, and has three wonderful grandchildren who also spend summers in Falmouth. Beth Ciarletta grew up in rural New Jersey then moved to Raleigh, NC for eighteen years where she met her husband Michael, co-founded a business, married and began their family. She relocated to Falmouth in 2012 with her husband to raise their children in a smaller community-based town, and to be closer to family. Her husband’s family lives in Norwood, MA and vacationed in Falmouth and on Cape Cod for many years. 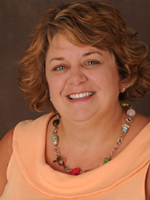 Beth has a business degree from Rider University and over thirty years in the learning and technology industries. 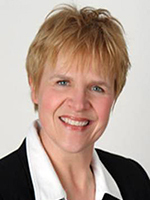 She has held various positions with Technology, Pharmaceutical, and Global Learning organizations, and has been CEO of LearnCentral, the global learning solutions company she co-founded with her husband, since 1994. Her technology background dates back to 1982, and was awarded a silver medal award by Steve Jobs in 1984 for her sales of Apple computer products. Mrs. Ciarletta brings a wealth of project management, problem solving, technology and automation skills to the FHT Board. Her ability to organize and lead multi-faceted teams is a strength FHT will capitalize on as we continue to collaborate with other organizations in Falmouth to creatively address the housing needs of our residents. Kenneth Buckland and his family; wife Nicolette and two boys, moved to Falmouth during Hurricane Gloria in 1985. They moved to town so that Ken could take the position as the Town Planner. 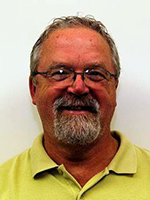 After completing master plans for land use, coastal resources, water supply, transportation, wildlife habitat, Main Street renovation, and affordable housing, while managing a boom in residential and commercial development, Ken moved into private practice. There he has consulted with towns and cities, state agencies and the federal government on projects throughout the US. Locally, he completed the master plan for the housing project now known as Esker Place, and his previous firm, where he was a principal prepared the streetscape improvement plans for downtown Main Street. Ken has also remained involved with Falmouth, with many activities including acting as chair of the Facilities Advisory Committee, election to the first Charter Commission, appointment to the Community Preservation Committee, and a Town Meeting member. Ken has two Master’s degrees, one in the sciences and the other in geography/marine affairs. He is professionally accredited by the American Institute of Certified Planners and US Green Building Council [LEED], and is on the board of directors of the State chapters of the American Planning Association and the Association of Consulting Planners. Luckily, Ken’s youngest son and daughter-in-law were able to find a subsidized, affordable home in Falmouth where they are raising Ken and Nicolette’s grandson. In his free time, Ken is an avid ocean swimmer and bicyclist. Ken and Nicolette feel very fortunate to reside in Falmouth. Joan Bates has lived in Falmouth with her husband, Robert, since 2002. Prior to that, the couple lived in Newton. Joan’s 25-year professional career was in special education and nonprofit management. The Falmouth Housing Trust is a natural interest for her, especially since becoming a real estate agent in 2004. As the relatively high cost of living on Cape Cod makes it difficult to attract and retain workers on Cape Cod, and also makes it extremely difficult for many native Cape residents to afford a place to live, Joan believes the community must work to address this issue. As a nonprofit manager off Cape, fundraising was always a part of her responsibility. Joan Bates previously served as co-chair of the campaign for the Falmouth Public Library, which successfully supported the renovation and expansion of the Main Branch of the Falmouth Public Library. Susan Roman is the Owner of Roman Retirement Planning, LLC. She grew up in Falmouth and attended Sacred Heart High School in Kingston. She graduated from Boston College with a Bachelor of Arts in Economics in 1993 and earned her law degree from Boston College Law School in 1997. After graduating from law school, Susan worked for PriceWaterhouseCoopers in Boston and Philadelphia in their multi-state corporate tax consulting groups. Susan worked with a team to develop strategies for domestic and multi-national companies to minimize their state tax exposure in the United States. After leaving PriceWaterhouseCoopers, Susan moved back to Falmouth with her husband, Seth, who is also an attorney on Cape Cod. Susan practiced law for twelve years before deciding to return to the financial industry. She is a licensed Investment Adviser Representative. Susan resides in Falmouth with her husband and four children. 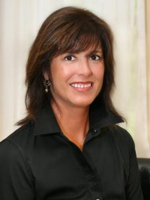 Joanne O’Sullivan is a real estate attorney who has been practicing law in Falmouth since 1995. She is a self described “wash-ashore” living on Cape Cod for close to 20 years. 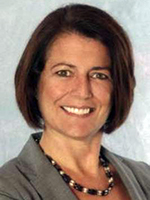 Joanne grew up in South Boston, and graduated from the University of Chicago and Boston College Law School. 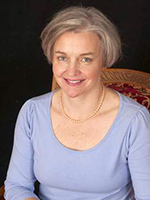 Attorney O’Sullivan has been a sole practitioner for the past six years. She is married and her children are enrolled in the Falmouth Public Schools. 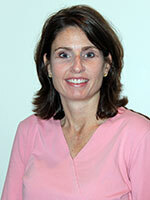 Ms. O’Sullivan joined the FHT Board of Directors in 2009 and became Vice President in 2011. Director, Addie Drolette, is a Falmouth native. She and her five brothers attended the Falmouth Public Schools, and her parents, Martha and Ralph Vaccaro, still live in the family home in West Falmouth. Addie now makes her home in East Falmouth and has three adult children and three grandchildren. Most of Addie’s career was spent as a Mortgage Lender at Sovereign Bank in Falmouth. She worked there for over 20 years, and just recently moved to Rockland Trust in Falmouth where she still lends and covers the Upper Cape territory.